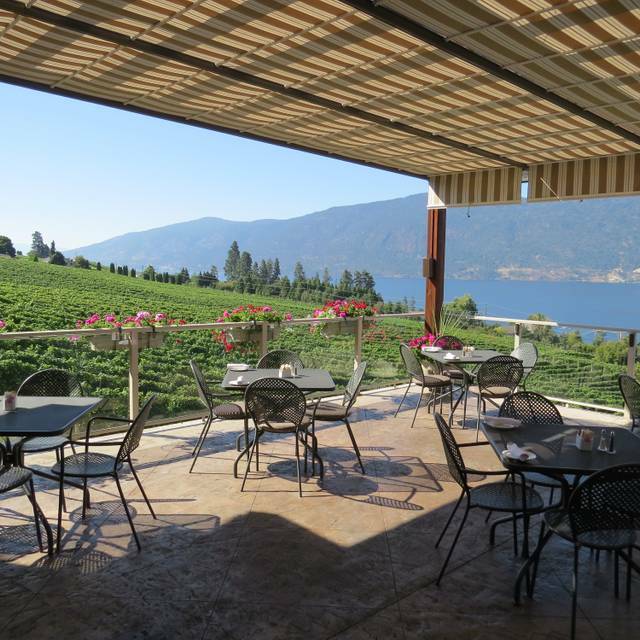 Located in the heart of Okanagan Wine Country British Columbia, the Grapevine Restaurant offers breathtaking, panoramic, and extensive vineyard and lake views, in one of the most tranquil areas of Lake Okanagan. 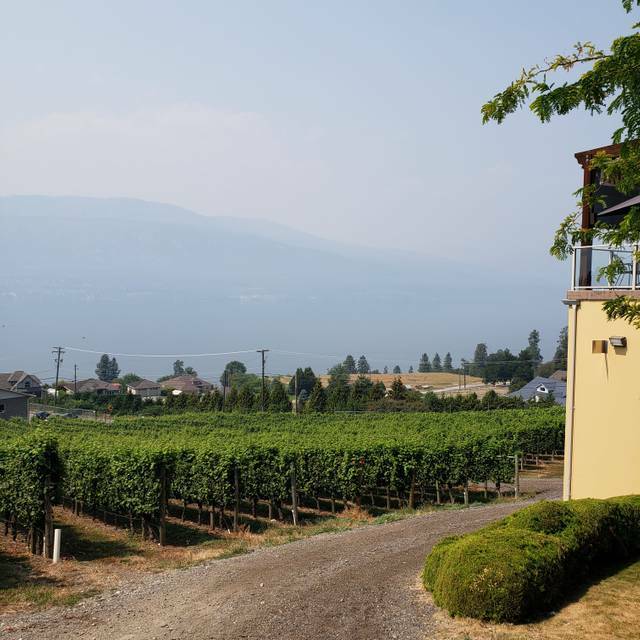 At the Grapevine Restaurant, our cuisine is focused on locally sourced, seasonal ingredients paired with exceptional wines produced by Gray Monk Estate Winery, one of British Columbia's first wineries. 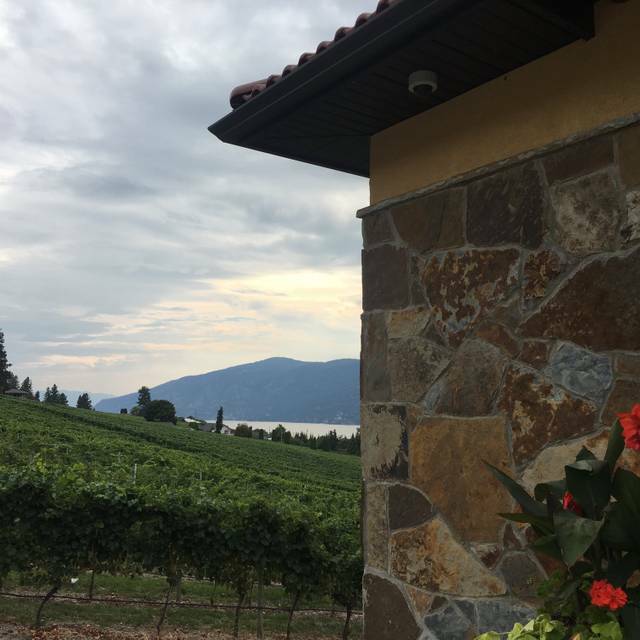 We look forward to you joining us in the sunny Okanagan for a unique dining experience on our vast Tuscany- inspired patio. 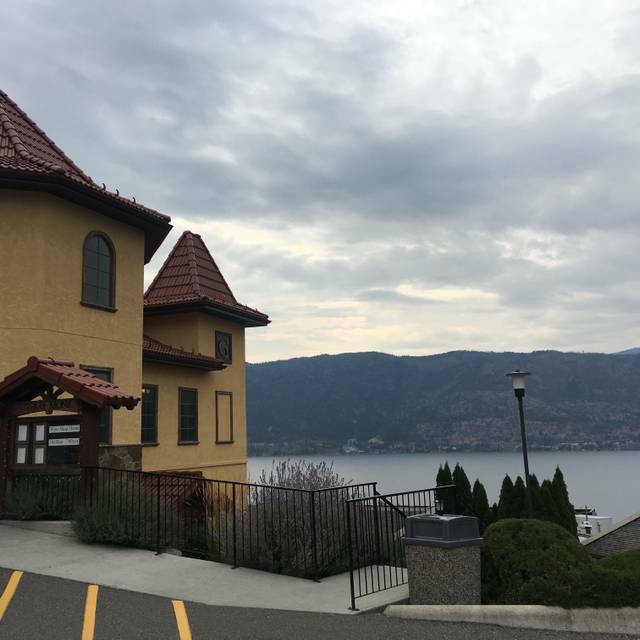 Our private dining space, the Panorama Room, boasts stunning views of Lake Okanagan, and sits adjacent to some of Gray Monk Estate Winery's oldest vines. Here, your guests can enjoy their own private terrace with a glass of wine and passed hors d'oeurvres. Later, your guests can enjoy the sunset from the comfort of our air conditioned dining area, while they are taken care of by our exceptional service staff, and enjoy cuisine prepared with locally sourced ingredients. The Panorama Room can comfortably seat up to 55 guests for a seated meal, and 80 guests for a stand up cocktail reception. Adjacent to Gray Monk Estate Winery wine shop. The Grapevine Restaurant never disappoints. Food is consistently fabulous, service is informed and friendly and the view is drop dead gorgeous. We will be back. The wine, the soup, the food and the service was excellent. The perfect place for date night with your wife. Great recommended wine pairings from the winery itself. We were vacationing in Kelowna, BC and had lunch at one of our favorite Restaurants, The Grapevine. Love the food, the view and the service. Food was disappointed this time. Duck and seared fish was overly cooked. Our waitress was very rudely , Our Sunday lunch was ruined by her. My friend and I enjoyed our dining experience very very much at the Grapevine. I didn’t know a steak or a short rib could be so tender, or Swiss cheese so creamy! The staff made me feel spoiled, treated my birthday like a really big deal. Highly recommend this restaurant to everyone... casual, family, friends, special occasion, romantic dinner… This is the place! The restaurant was generous enough and brought us out a lovely dessert on the house! I unfortunately can’t remember the waitress’s name (blond short hair) but she made the experience truly AMAZING! She was friendly, knew everything about the menu, and even provided me with gluten-free crackers as appetizer so I wouldn’t feel left out. I can’t thank her enough for making my boyfriend’s birthday great! 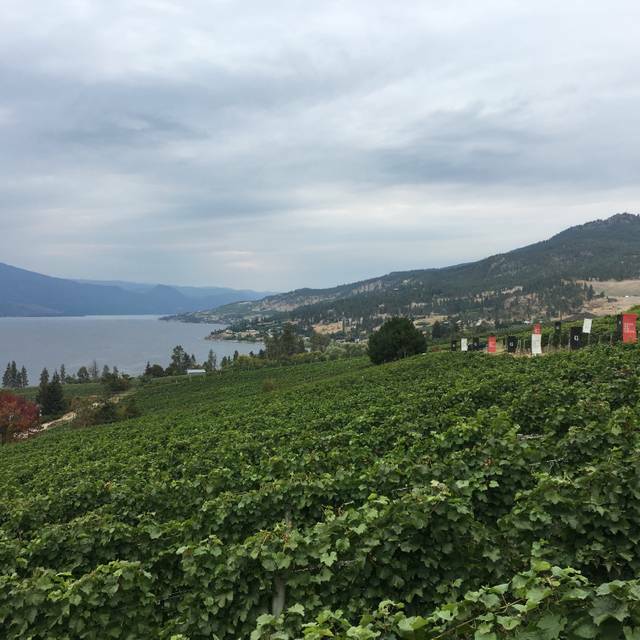 The restaurant and winery are set above Lake Okanagan and the views of the lake and vineyards was excellent. The menu is creative and everyone in our 4 person group enjoyed our meals. We were there on a quiet Monday evening. This is a positive statement - be prepared for a relaxed experience. Awesome! The daily special of short rib was fantastic!! We had a fabulous anniversary dinner here and definitely plan on coming back again. Both the staff and the food were absolutely lovely. I will be recommending this restaurant to all of my friends. Excellent food and service, made for a very enjoyable evening. We have visited your dining room many times, with out-of-town friends and special occasions such as birthdays and Anniversary. Love the food and presentation plus the wine and the scenic view. We stopped in for a quick lunch; beautiful patio and food was delish! I complemented my soup and tuna/salmon with some sparkling rose- lovely. We came to celebrate my wife's 65th birthday. The food was amazing along with the wine. Watching the sunset on the deck made it perfect. We celebrated our Anniversary here with a beau view on their deck after tasting wine in the winery. our food was delicious and we were treated to a special dessert. Staff was very attentive and informative. Food was excellent and service was outstanding. Food is expensive but priced similar to the rest of the wineries in the area. The restaurant does not welcome kids and has rules posted for them on entry. So if you want to take your family, even a baby I don’t recommend it. Food was outstanding, the view of the lake is magnificent. Our server Shelly was so knowledgeable and helpful. Great experience. We went there for anniversary dinner with a group of 7, and although I wanted to love it, the room needs a ton of upgrading and the food mediocre and cold. It is probably beautiful if you are on the patio, but in inclement or cooler weather, it was really a disappointing setting for dinner - no ambiance of any kind and a cold tile floor and wide open room with no character. The food was all barely warm after we waited an hour for it, even thought we were the only ones being served at that time in the evening. I won't likely return. We had a romantic lunch, indoors. The burger was perfectly charred. The salad was crisp, refreshing and light but filling. Had perfect service from Tiffany. This dining experience was memorable and hard to top! Amazing! Our waitress went out of her way to make our anniversary extra special. The foods was great. The wine was amazing. It was nice to have a vegan option as well. We will definitely be back. 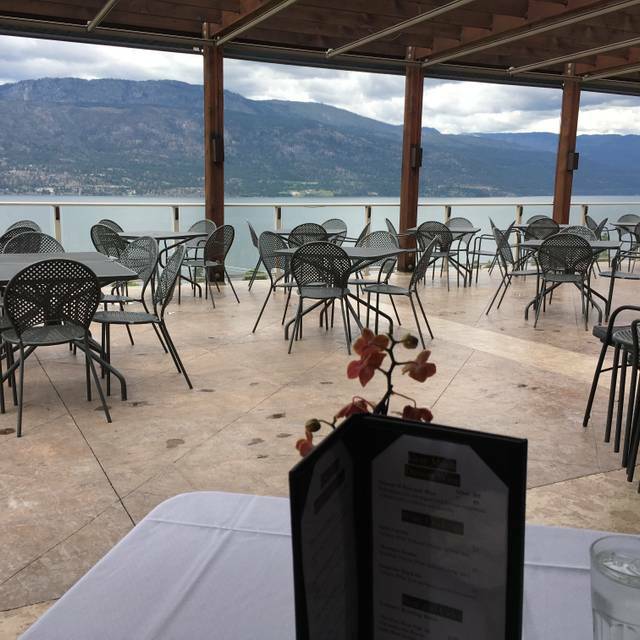 Located on the hillside overlooking Okanagan Lake, this restaurant delivers in every category, the attention to detail in each serving was amazing, It will be one of my top picks! Happy with the service and wine is very very good. Food could be taken up a notch to meet the quality of the wine. Was happy overall but not quite a 5. A lovely meal in a beautiful setting.....and the food was excellent! In the thick of the wildfire smoke, they pulled off a great night! No one can predict Mother Nature, so we missed the view, but food and service was 100%!!! This will be a tradition to visit yearly. Thanks Treena! You are awesome. Stunning location, excellent wine, very good food, great service. Hard to find fault. This was not a cutting edge foodie experience ... rather, an above average evening in a to-die for-setting. A wonderful evening. 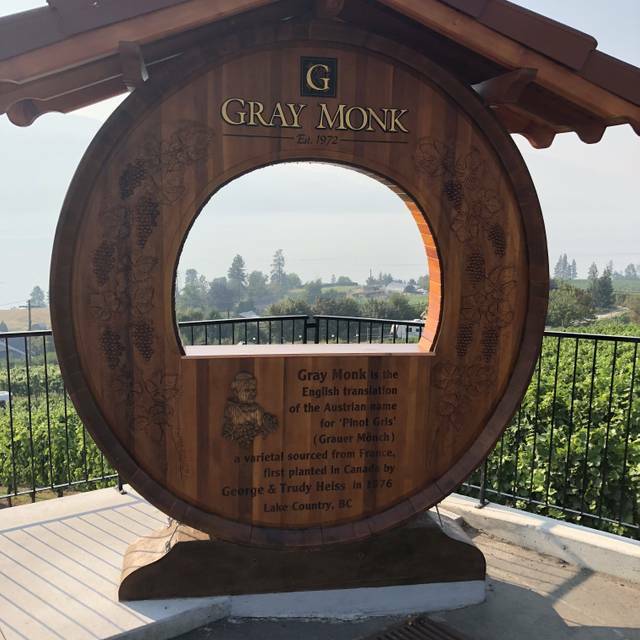 This was my first time at Grey Monk. The occasion was my 40th birthday. It was a wonderful dining experience from start to finish and I will remember the evening fondly. I look forward to going back! Everything from the service to the wine and meal was exquisite! Beautiful scenic view! We love going to the grapevine for lunch. It was my birthday and they brought out a special creme brûlée. Perfect. We used to especially love the braised beef but it hasn’t been on the menu for a couple of years. Wish they’d bring it back. It was the best thing on the menu. I recommend the Grapevine. And our server Treena was attentive and helpful. We had a wonderful experience at Grapevine Restaurant at Grey Monk Restaurant. We enjoyed the patio temperature, marvelous music, great food and service, but most of all - spectacular views! Great food and service, but the ambience needs major improvement. The combination of fluorescent lighting and incandescent lighting is not a good idea, and also the environment was too bright. Tables should be consistent (there was a mix of indoor and outdoor furniture), and candles and table cloths should be added to create a better vibe, worthy of an upscale place like this. 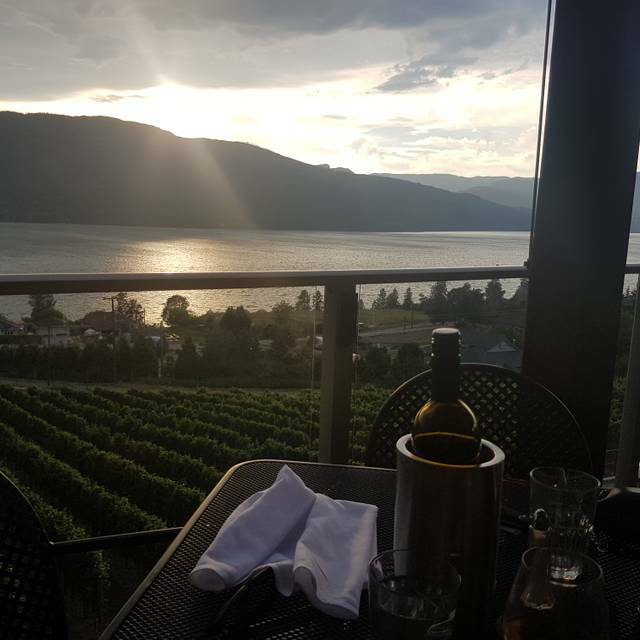 On a smoky Okanagan day, we ventured out to Gray Monk for a dinner with the family and a great view. While the family came, the view didn’t as the forest fire smoke obscured the lake view and closed the patio. While that was our first disappointment, unfortunately it wasn’t our last. The food was way too messed up to be even coherent. It was almost as if the chef was trying too hard to be unique. A mishmash of flavours might sound interesting on paper, but on the palette, not so much. Maybe an over-abundance of ingredients was why the food was expensive. It was clear I wasn’t enjoying my meal, given that I wasn’t eating it, but our server didn’t notice as she was hardly ever around. Finally, while the rest of my party was pretty much finished, she thought it would be a good idea to acknowledge my full plate and ask me if I wanted a substitute. A bit too late when everyone else was done. And I was charged for the meal to add a little bit of salt into the wound. For the rest of the party, the comments were “meh” at best. In particular, the seafood pasta was a disappointment. Curry spices too strong for delicate seafood, and a definite lack of seafood for the price. My salad on the other hand was a disaster. Yes, a bad salad. I think that’s hard to do, but Gray Monk found a way. In any event, if you want a great setting (truly beautiful) paired with ok wine (nicely priced) and really unexceptional food that is over priced, this is your place. I’d recommend it for the setting, but that’s about it. The food was outstanding. Our very knowledgable server detailed the finer points of the variou dishes and waited patiently for us to make decisions. Service was prompt and unobtrusive. It was an excellent birthday treat for a friend despite the heavy smoke cover which prevented outdoor dining and enjoyment of the normally fantastic view. Our group of 6 had a fabulous time dining at the Grapevine Restaurant. The service was great, the food was tasty, well proportioned and well presented. The wine is always fantastic and I would recommend going with the suggested pairing. Had dinner with friends and relatives. Everything was great. At our table we had sea food, bison, vegetarian, & chicken. Everyone in our party was very impressed. And the deserts, also the best. We are very impressed. Comes with a truly spectacular view. The best. A very scenic patio dining location with excellent menu items. The charcuterie plate with wine flight was an amazing pairing. The flavours were well balanced. 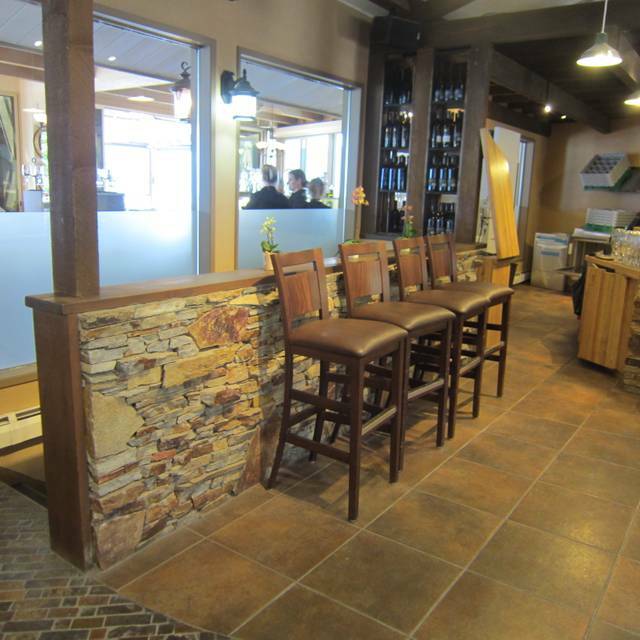 This patio can accommodate both family friendly and romantic date night diners. This restaurant is only 30 minutes away from Kelowna. The wine there is the best and reasonably priced. The food is great, I had the saffron seafood pasta. The server was excellent and even gave my boyfriend free dessert for his birthday.